During his State of the Union speech the president again emphasized his intention to go it alone. 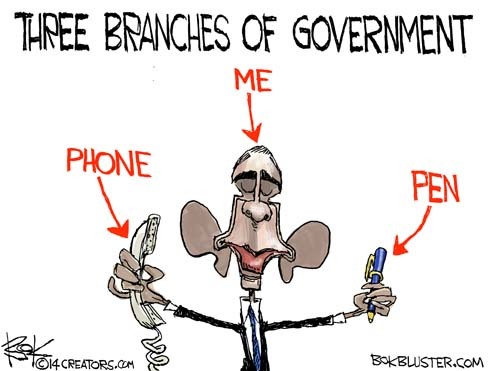 He’s his own separation of powers. He’s got a phone and a pen and he doesn’t need no stinking Congress. Back in December Law professor Jonathan Turley said that President Obama is “becoming the very danger the Constitution was designed to avoid”. Professor Turley now says Obama is the president Nixon always wanted to be. Have you been audited by the IRS yet?